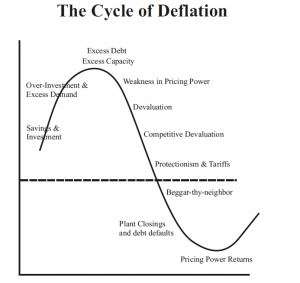 Deflationary Trend Arrives for Email Industry | Port25 Solutions, Inc. 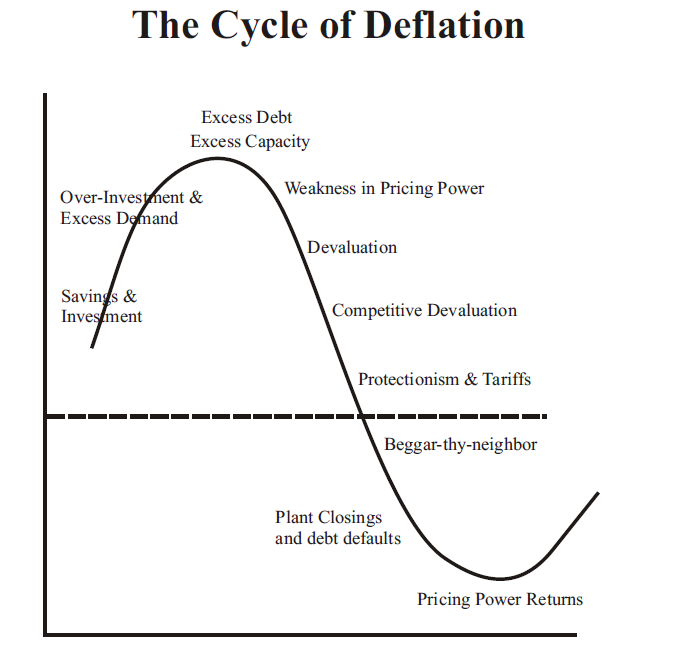 In economics, deflation is a decrease in the general price level of goods and services. With more transactional and confirmation based emails moving to the cloud, we at Port25 are noticing a deflationary trend, resulting in what we believe is a commoditization of email streams. Cloud based relay email companies, such as Mailjet, SendGrid, Smtp.com, Amazon’s SES and others, are applying downward pressure on the value of sending email, resulting in a flat fee service based model which translates to literally non-existent CPM levels. This trend is now a part of our industry and will eventually result in “zero” CPM pricing models. These models will shift the act of sending email from a primary source of revenue at some ESPs, to a value-added complimentary service. This model stretches the service offerings at evolving ESPs. We’ve already begun to notice that more ESPs are now offering their own version of cloud-based relay models in an attempt to reduce client defections of certain email streams. In many cases, this plan makes sense because the ESPs already have a captive audience (their existing clients). Although the theory of commoditizing different streams at ESPs is still relatively nascent, it appears to be an effective defense against customer defections. Further, ESPs who add a cross channel platform and a real-time socially integrated framework (as some already have) will enhance the customer experience even further. When deflation occurs in any industry, customers come to expect falling prices, which actually makes them less willing to spend. And when there is a glut of companies offering the same services, the demand for the service decreases even more. Both of these phenomena are presently occurring within the email industry. Thus, there is now a buyer’s climate for marketers who want to utilize, maintain and extend the channel of email. Enterprises are in flux and may be reluctant to stay with ESPs who charge for transactional based emails, password reset, or order confirmations. If ESPs continue to charge for these services, they will lose clients and find themselves unable to compete in a buyer’s market. To mitigate these circumstances, ESPs will need to offer value beyond email. Even at “zero” CPM pricing, having email as a value-added service might not be good enough. This is why it’s so crucial for ESPs to continue to evolve; they must partner with or buy forward-looking agencies the offer acute business intelligence across multiple channels allowing the enterprises to scale quicker than ever. This will result in further consolidation in the ESP space as mature ESPs will gobble up agencies offering a plethora of value added services. As we’ve noted in the past, for example, Responsys offers a “retargeting display” service that allows for a more balanced marketing approach, outside of email. ExactTarget offers the “interactive” marketing hub which is a cross-channel platform that helps marketers utilize several marketing channels seamlessly, allowing them to pull and synthesize data from various sources to optimize campaigns. In the case of BlueHornet, customer centered consulting services provided through ESPs are burgeoning into a lucrative revenue channel. To offset declining email revenues, another service that ESPs will consider, is centered around breaking into the Email paywall that marketers will eventually build. To offset devaluation in email, ESPs must consider charging marketers a percentage of the fee that subscribers pay to access their email offers and content. Charging for marketing newsletters, may or may not appeal to many subscribers initially, but if marketers can distinctively offer value in marketing based emails which are exclusive in nature, a nominal fee of say $1.00 per month per subscriber might appeal to subscribers. The ESP, can then retain a percentage of the proceeds from the overall revenue that the enterprise or marketer earns. The challenge here is for marketers to continue to offer “value” with each send. ESPs should begin to map out this strategy for marketers. There have been many well publicized security breaches over the last 12 months in the email industry. Due to these security concerns, some within the industry anticipate that enterprises will shift toward using more established ESPs, or one’s that don’t have a record of any attacks yet. For enterprises, security of their data is a primary concern, and numerous enterprises are in currently in flux because many don’t have dedicated email delivery staff in house to minimize security concerns. ESPs must continue to prove to marketers that securing data is also their top priority to alleviate any security and privacy questions moving forward. This will be another movement to watch as the email industry continues to adapt to this deflationary trend.